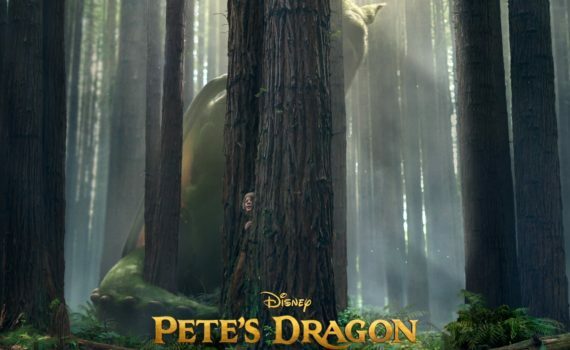 There aren’t many who would claim the original Pete’s Dragon to be among Disney’s best. It’s amateurish and poorly-acted, though the music of the film carries it along fairly well, allowing it to be cemented into our memories even if it has more flaws than successes. That status makes it a perfect candidate for a remake, and frankly I don’t know why this wasn’t done sooner. The CGI was there, and audiences aren’t in love with this film the way they are with The Little Mermaid or Pinocchio. Imagine trying to redo one of those completely, we’d have riots. 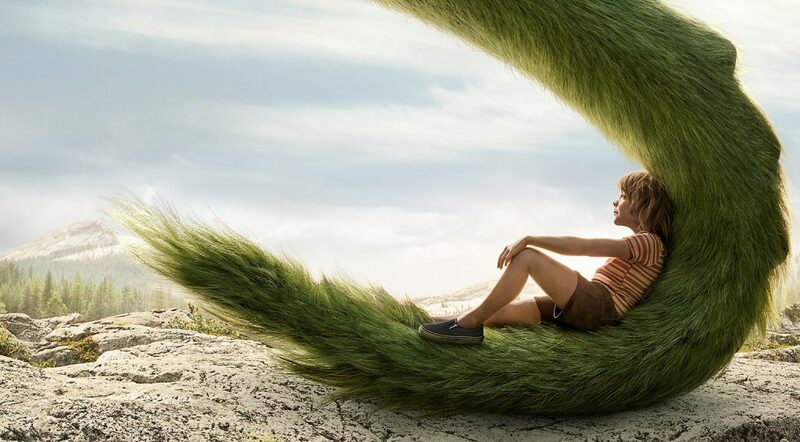 The new Maleficent & Cinderella were accepted as modern takes, but 2016’s Pete’s Dragon is basically a do-over, and that’s only allowed because the first wasn’t that incredible. So the second goes in its own direction, nixes the musical numbers, keeps the magical dragon, and tries to win us over for good this time. The residents of Millhaven have always heard stories about dragons in the woods. Mr. Meacham even says that he saw one first-hand, standing right in front of him what has become many years ago. His daughter Grace is now a forest ranger and doesn’t believe the stories, having spent every day in the mountains and never seeing a dragon. Her boyfriend Jack runs the local mill, along with his rowdy brother Gavin, trekking into the woods quite often. One day, along with Jack’s daughter Natalie, the whole gang comes across a boy named Pete who has been living wild in the forest for six years. He says he wasn’t alone though, that his friend Elliott keeps him company, and that Elliott is a green dragon. Of course no one believes him at first, but when Gavin begins to hunt an elusive creature, the old legends come to life and the town of Millhaven will never be the same. Let’s start with the positives. I took my daughter to this screening and she really enjoyed it. The movie is tailor-made for kids, with a little bit of danger but never any real fear, with characters who can be seen as villains but without any real evil. The action is fun, exciting, impressive, and the panoramas will leave you breathless. Kids will identify with the characters, there’s a little boy & a little girl to love, and the theme of family is a constant throughout. Without spoiling it for you, everyone’s not going to die at the end, Elliott’s not going to be stuffed and sent to a museum. So, visually the film is pretty great, its content is family-friendly, it never steps on the original’s toes since the original needed to be swept to the side eventually anyway, and I assume all parties will leave the theatre happy after another solid Disney picture. But I can’t say that its perfect and here come the negatives. I didn’t make the connection at first, but Oakes Fegley was the boy who sucked in Fort Bliss and I hated him here as well. Sorry kid, maybe it’s me, not you. 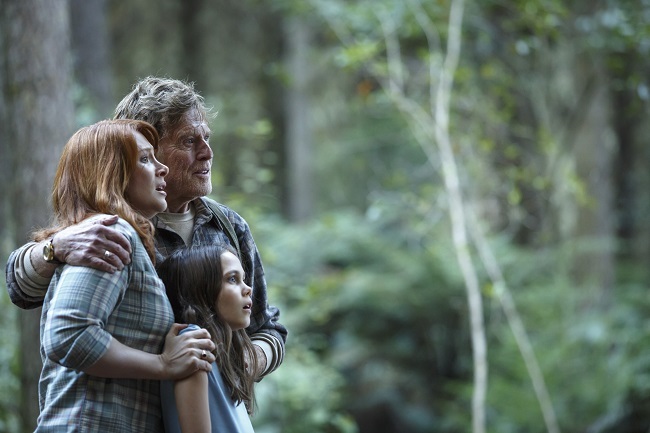 I also strongly disliked Bryce Dallas Howard, who came across as sweaty, weepy, puffy, and over-dramatic; maybe she’s pregnant, maybe she’s just not a great actress, I don’t know, but she looks ridiculous in a forest ranger’s hat. Wes Bentley and Karl Urban were surprisingly bad in their roles, but I think a ton of that was due to some awful writing. There was also some weird, annoying music played randomly, like a last-minute pseudo-soundtrack that was only meant to annoy me. The girl who played Natalie was charming, good ol’ Rob Redford still has it, and I can’t say I disliked the movie completely, but it was chalk-full of problems that will keep it from reaching the bar set by other recent, impressive Disney films.